Feedback from clients is our driving force and our most valuable asset. We are proud of the fact that we have managed to satisfy numerous clients with efficient carpet cleaning Vancouver services in Burnaby, North Vancouver and West Vancouver, BC. Testimonials by our clients speak louder than anything we can ever say about our services. Just wanted to say I was blown away by the results of your carpet cleaning. I couldn’t believe our light coloured carpet could get so clean with the shape it was in. Thanks GreenWorks for a really great job on both our carpet and sofas. I had to get some parts of my house’s carpets cleaned after some huge stains from painting. They were able to remove the stains and it looked like those stains were never there. They were prompt and efficient, got the job done right on time and I would definitely hire them again, their costs were reasonable too. have had accidents (of all types) on and there are no spots. Our house smells much fresher. 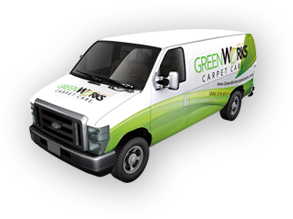 I highly recommend Greenworks and will call them again when we need our vehicle, furniture, or flooring done.